The Kentucky Academy of Science celebrated its 100th Anniversary at the Centennial meeting Nov. 14‐16 at the Lexington Convention Center. Since 1914 the Kentucky Academy of Science has provided venues for Kentucky’s scientists and student scientists to share their research. Dr. Rodney King received the 2014 award for Outstanding College/University Teacher at the Kentucky Academy of Science meeting. 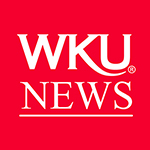 More than 800 scientists and students attended the 2014 Annual meeting, and hundreds of undergraduate and graduate students from Kentucky colleges and universities participated in the research competitions. More than 20 graduate and undergraduate students at WKU received awards in the research competitions. The Academy also honored WKU biology professor Rodney King with the 2014 award for Outstanding College/University Teacher. Dr. King was recognized for his teaching excellence and initiatives in stimulating and securing funding for undergraduate research in Microbiology. More: List of award winners and photos. About the Kentucky Academy of Science: The Kentucky Academy of Science is a non‐profit organization dedicated to advancing science in the Commonwealth. The Academy encourages scientific research, promotes the diffusion of scientific knowledge, and unifies the scientific interests of the Commonwealth. 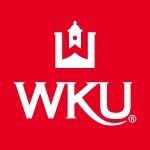 WKU faculty, staff and students may become members of the Kentucky Academy of Science at no cost, thanks to WKU’s Enhanced Affiliate membership, at www.kyscience.org.